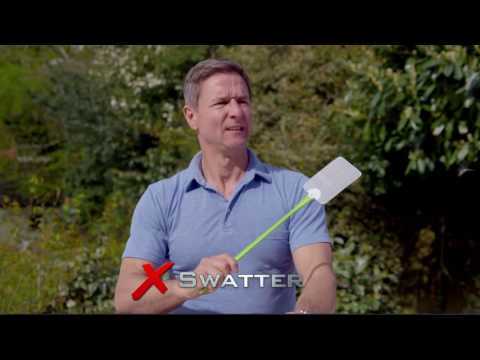 Help protect against pesky bugs and insects with this handy solar buzz kill. A safe, hygienic and chemical free way to get rid of flies, mosquitoes and un-wanted insects. Help protect against pesky bugs and insects with this handy solar buzz kill. A safe, hygienic and chemical free way to get rid of flies, mosquitoes and un-wanted insects. The blue plasma light attracts the flying pests and the live wire eliminates them quickly and effectively. With the solar panel there is no need for wiring or battery costs, the solar panel simply harnesses the sun’s rays and stores the energy in the rechargeable batteries (included) for when in use.